With the rise of the freelance economy, companies now have more content creation options. As this trend grows, the complexity of finding high-quality writers also grows — meaning more headaches for content managers to navigate. Learn how to better scale your content creation efforts by experimenting with several writers, setting clear expectations and negotiating long-term partnerships. Finding copywriters who can quickly and consistently meet your editorial standards can be frustrating. This is particularly true for technical writing, website content and for highly governed industries where copy must be precise. Novice writers can save your marketing budget in the short term and help increase content output, but they often require more editorial direction and time-consuming revisions. Experienced industry writers can meet or exceed your quality standards with little direction, but they are typically more expensive, which can slow your scaling goals. The key is to find balance of both. If your content department is small, inexperienced, or you’re newer to content marketing, you should lean toward experienced writers to balance your team — at least in the short term. Look for these writers to help build or improve your content standards, evolve your marketing tone, and help you create more thought leadership within your industry. Their industry insight can help smaller marketing teams get up to speed. Experiment with two or three experienced writers to start. Take note on their content process and the pros and cons of working with them to determine if they are a good long-term fit. 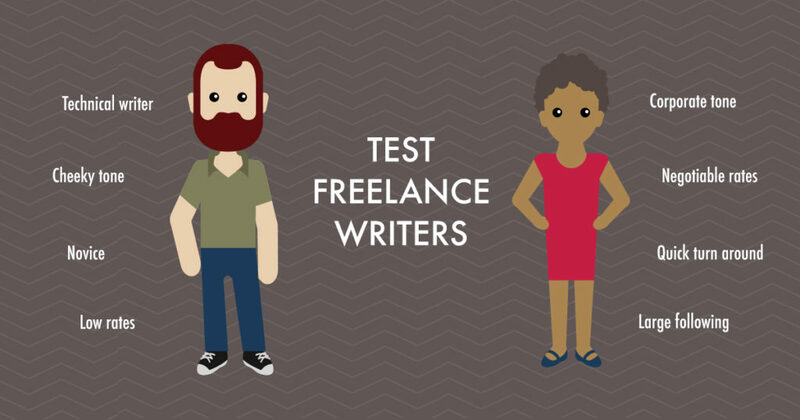 Get matched with freelance writers in the ClearVoice Talent Network. As professional writers help your team create more quality content, your editorial direction should become more clear. And if you do decide to hire novice writers, test no more than three or four at any time to make sure you don’t overburden your team. Expectation management is critical when working with freelance writers. Share your expectations with writers through a written deliverable, such as editorial guidelines or a brand style guide that includes your writing tone, content topics, objectives, and more. To avoid hassle later, do not rely on a verbal agreement with a freelancer. Put it in writing. Your editorial guidelines also serve as a place for you to reference should a writer not perform as needed. If a writer does not meet your expectations within two or three articles, it’s clear that they are not a strong resource for your team and you can begin testing new writers. Think about the purpose of your content. 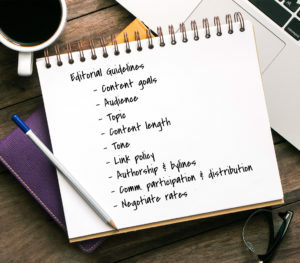 Whether you are interested in driving traffic, earning social shares, sparking controversy or generating sales leads, highlight the goal in your editorial guidelines and share an example of content that meets those expectations. Define your audience or create buyer personas to provide information about your readers. For example, are your readers retail consumers looking for top-level information, mid-level managers interested in tactical advice, or busy executives reading concise strategy? Make the distinction, so your writers don’t guess. List a handful of articles that are successful for your brand. Make a list of content that you admire (both on- and off-page) and list reasons why you like it. If your goal is search engine optimization, your onsite content could be between 2,500-5,000 words. If you are writing thought leadership content, 600-800 words would suffice. Be sure to differentiate your expectations based on your content’s purpose. Today’s blogs tend to have a more conversational tone with fewer industry jargon or buzzwords. Mention whether you prefer a corporate, relaxed or even cheeky tone. Your writers should naturally link to relevant content when applicable; however, you probably don’t want them linking to competitors, spammy sites, or content that is outdated. Nobody wants to deal with cease and desist notices from improper image licensing. Give your writers access to a couple stock photo sites, or make an introduction to your graphic artist if applicable. Let the writer know if they will be ghostwriting content for your executives or building their portfolio with your content. Some writers charge more for ghostwriting, so be clear upfront. If your writers are using their personal byline, you may want to encourage them to share the article in their networks and engage with people who comment on it. Community engagement and content sharing is more important when working with influential writers or industry leaders. Be careful here, however; the FCC is picky about the rules of endorsement. Additionally, you should consider sharing content cadence expectations, a monthly editorial calendar, the number of allotted revisions, and billing expectations. 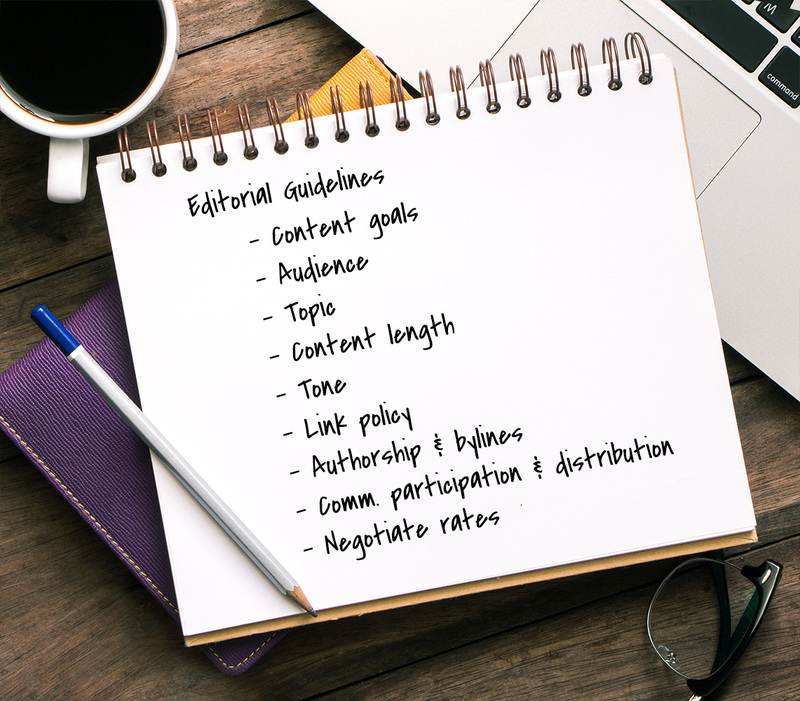 Remember that your editorial guidelines is a living document. Modify them as you learn about what works and from the feedback you collect from freelancers to consistently improve your processes. After finding a handful of writers who meet your expectations and fit your budget, it may be appropriate to negotiate a freelance rate for long-term work. This is a key component in scaling your better writers. Full-time freelancers are busy finding and securing new clients to stay afloat. This means they always need to market themselves and sell new business to keep the lights on. Offer your best writers a long-term agreement, such as three or six months, and ask whether they have a discount based on quantity. A long-term contract can ease a writer’s nerves about finding new work, and it means you won’t have to continue searching for new freelancers to scale your content efforts. Have you hired freelance writers to contribute to your blog or create content assets for your brand? 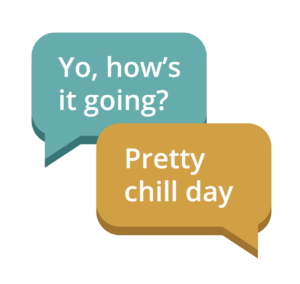 What experiences have you had while scaling or outsourcing your content efforts? Share your experiences in the comments.